Today I am so excited to share with y'all a new boutique that I have recently discovered that I love. The Happiness Boutique is a beautiful online boutique offering a timeless classic style with a charming vintage touch. Each of their clothing and jewelry collections feature eye-catching designs, timeless classic styles, beautiful prints, adorable patterns, and vibrant colors. The Happiness Boutique provides a wonderful and engaging shopping experience while building a positive, connected, and fun community. You can definitely tell that they are driven to create a positive vibe in the world and are making a difference. The Happiness Boutique offers worldwide free shipping without any minimum purchase and also offers a customer reward program! 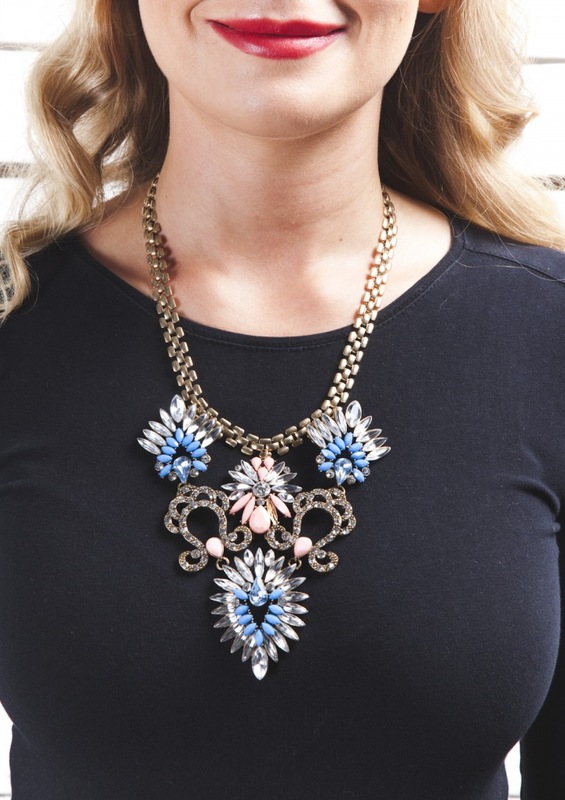 I love the color combination and the statement necklace in general! This piece would be fabulous for some holiday parties and gatherings! 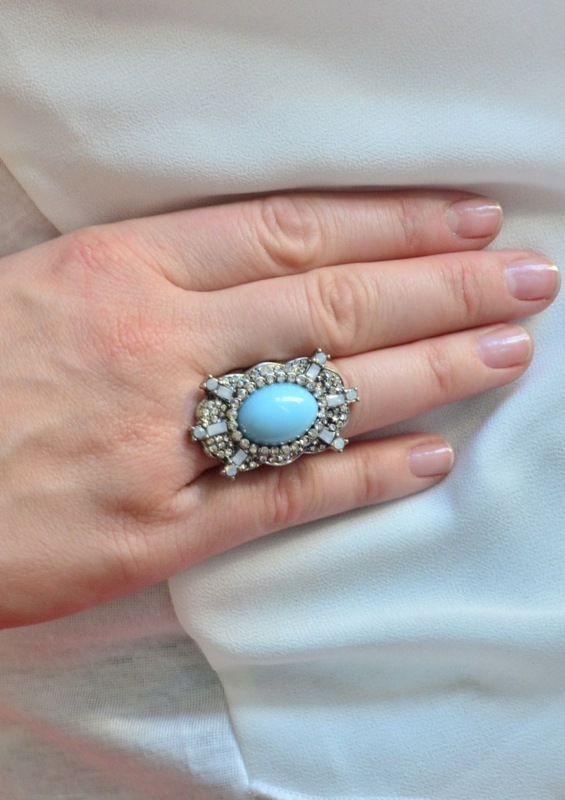 I love me some statement rings and this turquoise jewel statement ring does not disappoint! 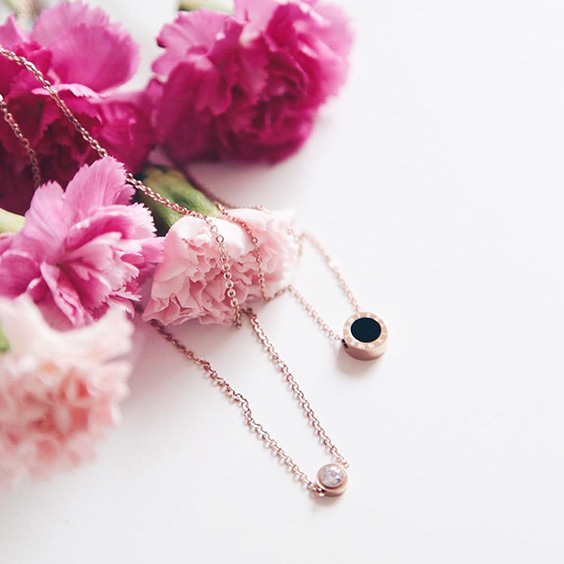 I love that this necklace could be easily dressed up or down. It has an instant classic and bold look while being extremely elegant. 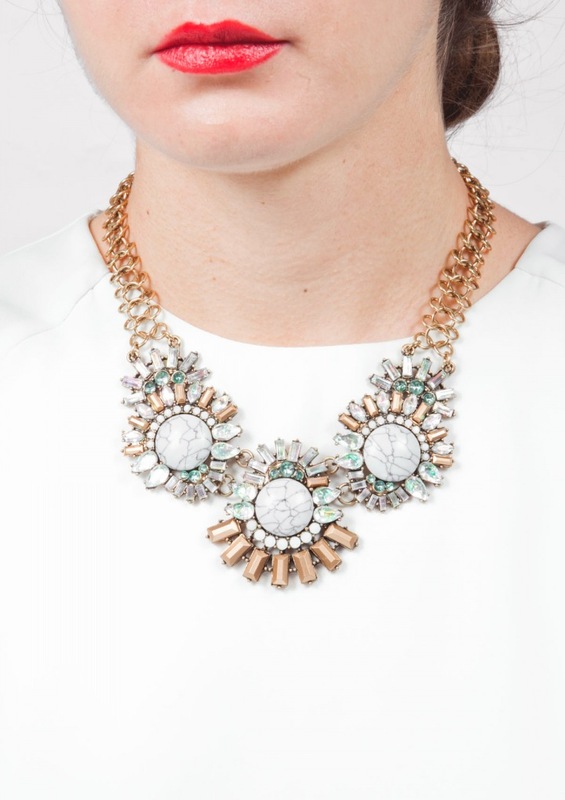 And my favorite and the piece that I have chosen to wear- the beautiful and amazing: Stones and Gold Statement Necklace. I love that this necklace (which is even more beautiful in person!) gives a bold and sharp look while retaining vintage charm. 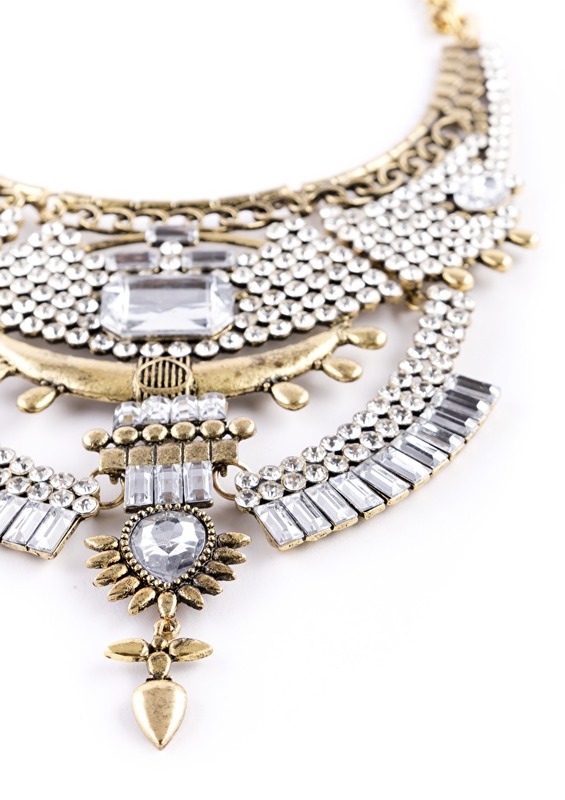 It is an absolutely gorgeous piece that I know that I will treasure forever in my jewelry collection! I hope you have loved learning a bit more about The Happiness Boutique and some of my favorite pieces! And guess what? The Happiness Boutique is currently offering a 10% discount code to my community and friends! Simply use the code: caravansonnet to receive 10% off your order now through November 29th! I would love to hear what your favorite piece is and what you chose to purchase!